Innovation in live theatre is about as common as spontaneity in parliamentary oratory, so I’m pleased to report that The Jet Lag Monologues is an uncommon beast indeed. 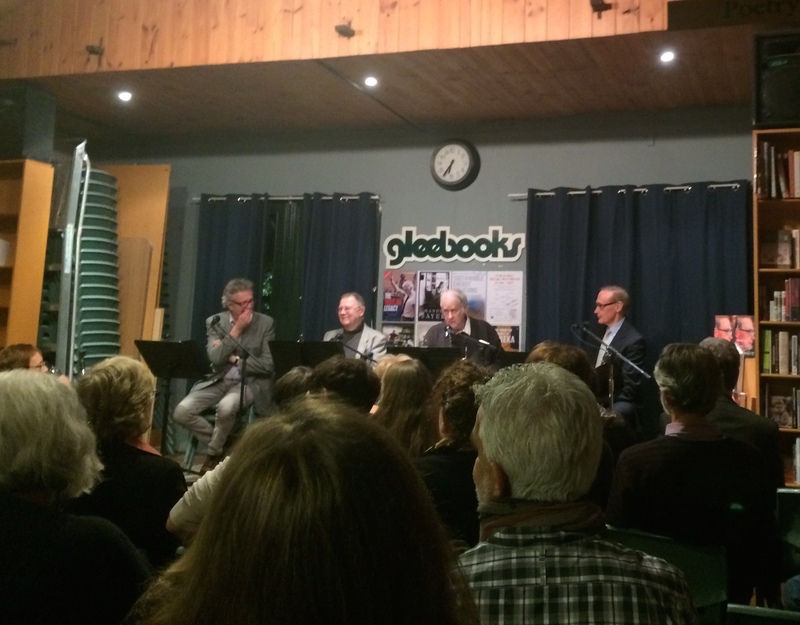 Sure, four blokes behind microphones reading excerpts from Bob Carrs’s Diary of a Foreign Minister doesn’t scream ingenuity, but it was the fusion of fresh material, minimal rehearsal and four striking voices that make it eighty plus minutes of substantive entertainment. The four performers (Bob Carr, Bob Ellis, Terry Clarke and Jonathan Biggins) manage to create a believable conglomeration of Carr’s narration in the book – no mean feat given Carr himself is one of the ensemble. Biggins’ Keating deserves its own show, the single sentence delivered in his voice providing one of the night’s most humourous moments. His Rudd impression was more than respectable as well – perhaps a Rudd / Keating one-man show should be in the offing? Clarke’s understated but emphatic delivery provided some welcome shade in parts, and Ellis’ Kissinger was very well received. Carr’s work achieved its expected qualities: sonorous and authoritative, with some wry humour injected at key junctures. If I were to find fault at all, it would be that some of the representations of Carr interlocutors from Indonesia, China, the US and Europe teetered on the edge of stereotype at times, but I believe they managed to avoid falling completely into that trap. Bob Ellis’ curation of key passages into an engaging narrative deserves praise, something Carr himself was effusive with at the conclusion of the night. Diary of a Foreign Minister provides some wide-ranging material that could be difficult to wrangle, but Ellis has managed to create a coherent narrative that entertains throughout. The relationship with the United States, the dinners and Bohemian Grove retreat with Henry Kissinger, the showdown with Julia Gillard over Palestine and the finality of death are all interwoven effectively. It is also worth noting that the audience wasn’t uniform in its response to some of the perspectives presented, which in itself lends weight to the quality of the material’s presentation. There were intermittent mumblings I took to be disagreements with assertions made, and one passionate Gillard supporter made her feelings very clearly known after the show had concluded, shouting her displeasure at Carr’s decision to back Kevin Rudd in the 2013 leadership ballot. That aside, the level of engagement with the material was very high, and the standing ovation from half those present gave an indication to the majority’s appreciation. The Jet Lag Monologues on its first outing should be deemed a success, and I’d be surprised if there aren’t encore performances. Its uniqueness is in its disinterest in everything but providing a respectable but humorously outfitted vehicle from which to view Bob Carr’s ride through what is likely the most memorable eighteen months of his life. If you enjoy political biography, humorous interplay between four experienced orators, less than stellar but effective singing in well judged moments and a healthy dose of literary and philosophical references, then start lobbying for a further staging.